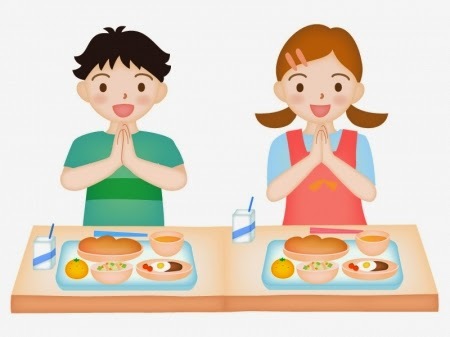 I’ve found the news, saying that 41 schools in Numazu city, Sizuoka serve “chameshi (tea rice)” for their school lunch. This special menu has been served since 2006 around this area. What is it like? This is their chameshi. -- Cook the rice with green tea, mix with a tiny fish, sprinkle some powdered tea on the rice, and serve it. -- The rice is served with shincha (lit; new tea) and some other dishes. A student who had this lunch said, “I usually drink mugicha (barely tea) at home, but this hot green tea is good too”. Another one said, “I enjoy chameshi. I smelled tea in the rice unlike the one I usually eat, which is good. I think I can eat more.” As you can see, they seem to enjoy it. Shizuoka is one of the biggest tea-producing areas. Even so, the consumption has been decreasing. I'm sure that the students have learned more about their local product through this experience.